Fragility can be it's own strength, and in Owlet, by Emma Michaels, Iris, a seventeen year old girl who has grown up secluded and weakened by debilitating asthma finds herself waking into the adventure of her dreams while beginning to discover her true strengths in a past which has been kept from her. 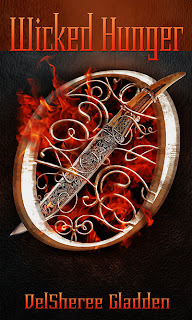 On her own island of Never-Never, Iris begins to face the past she lost and the improbable future ahead of her while under the threat of the Eyrie, which wants her dead. Enchanted by her once-would-be assassin, she faces this new world with an unbridled thirst for the truth, even when the answers may be more dark or peculiar than the tragic past she'd constructed to fill in the gaps in her memory. Written in lavish prose, Owlet moves between dreams and the present with fluidity and grace. The author uses poetry and song to weave a spellbinding and emotionally charged journey on a far away island that juxtaposes the surreal with the mundane. After all, Never Never is still close enough to get Chinese take-out. My one reservation is that for much of Owlet , the first book in the Society of Feathers series, the story happens to Iris, with little agency on her own part. Debilitated with each exertion and constantly being watched and micromanaged, even half of her soul bosses her around without her own full understanding or complicity. Iris' amnesia provides a good mechanism for learning about her world as she does, but in keeping the main character in the dark about so many things, while relying on dream revelation and the monologue of others, the story does not move forward so much as it unfolds around Iris. At one point, her inner voice reminds her, "You are not inadequate: you are perfectly Iris," though at that time, she is very much the helpless damsel in distress, having not yet come into her own strength. 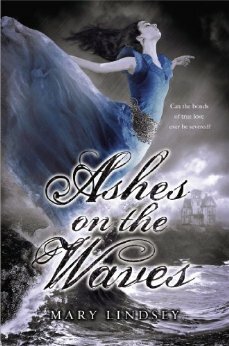 I enjoyed the dreamlike prose and Micahels' subtle approach to the paranormal and modern fantasy YA genres. I like that Michaels chose to write a differently abled lead character, reminding readers that fantastical adventures and beautiful new worlds are not reserved for the demigods among us, but even the slightly frail and less than hale. I am looking forward to the continuation of the series, and am optimistic that reading along as Iris grows into her potential will be a satisfying fairytale. Happy Book Birthday, Ashes on the Waves! Congratulations, Mary! This has definitely been added to my towering To Be Read pile. Sliding in reeeally late today, We-Do-Writers. I apologize. But, while you contemplate methods of punishment for my tardiness (I'd prefer death by chocolate, if that can be arranged), here is a lovely interview with Faith A. Rice Mills, author of IDENTIFIED. Welcome to We Do Write, Faith. Tell us a bit about yourself. Harry would be the best friend, wouldn't he? How long have you been writing? Since I was eight-years-old. However, I only seriously started writing with the hopes of publishing about five years ago. Tell us about IDENTIFIED. What’s the story about? IDENTIFIED tells the story of Maya Price, an eighteen-year-old girl from a small town in Texas. She finds out that she is a shifter, a half-human, half-onyx that can travel between dimensions. As a shifter, Maya has the ability to manipulate the five senses and control the four elements. Supposedly, there is a prophecy that mentions Maya by name. The prophecy says that Maya will choose a side and will either help Leonas, a shifter turned evil, maintain the power he holds or to bring him down. Shifters? Special abilities? Prophesies? Count me in. I had the idea for the story on a four hour drive to my boyfriend’s (now husband) apartment in 2004. I had this idea for a girl who could travel between dimensions. The story has evolved quite a bit since then, but that is where it started. I have a group of beta-readers that consist of a few friends and family members. Also, both my sister and Melissa Barton at editorch.com edited Identified and did an amazing job! I’m both! I typically make an outline, but it flies out the window as I start to write. Writer’s block! I just spent a month suffering from writer’s block. No matter what I did, I could not think of a way to end the chapter I was working on in the second book in the The Maya Price Story series. Also, weirdly enough, coming up with character names is really hard for me. A bottle of water, a cup of coffee, and some way to listen to music. The power to telepathically change the music playing in any restaurant or store I may be visiting, party I may be attending, or friend’s car I may be in. Yes! It can be called DeeJaykenisis. What's the weirdest thing you've googled? “Jonah Hill Weight Loss” See what happens when you procrastinate? Quick writing test! Use the following words in a sentence: identity, dentures, and traced. The forensics team easily discovered the identity of the corpse because his diamond traced initials were inscribed into his golden dentures. Finish this sentence: If I'm not writing, I'm probably ... reading books to my daughter. I have learned to do quite a few different voices. Wow! There are too many to thank! Of course a special shout-out to my parents, J. And Susan Rice, my husband, Sonny Mills, my siblings Joy Rice, Jakie Rice, and Luke Rice, and my daugther Annabeth Mills, for being awesome. Another to my in-laws and all of my aunts, uncles and cousins. I couldn’t do this without you.You have been nothing but encouraging and supportive. Also, a super special shout out to my sister, Joy Rice. She designed the cover for Identified and did a round of edits for me. She is also my ultimate supreme-o best friend. I’d also like to send one to Rebekah Sills Lamm, who was my very first beta reader and a wonderful friend, and her husband Ben Lamm, who is my future manager. And, to my best friend Tara Amaya, for being my best friend and fellow delincuente. A shout out to Melissa Barton at editorch.com. You basically saved my life! Another to Denis Cowan at Denise Cowan Photography for shooting my author photos. You are a beuatiful photographer! Finally, I’d like to thank my fellow authors, Belle Whittington and Mari Mancusi for all of their help and advice. I'd also like to thank the amazing book bloggers Ivana Maric, Megan McDade, Stephanie Redwine and Alex Balbuena for agreeing to be some of the first to review my book. You can buy the ebook on Amazon and on Smashwords. The paperback is available on CreateSpace and on Amazon. Thanks for joining us today, Faith! Books, books, books. Can I just have them all (plus be granted all the time in the world to read them)? Aside from world peace, that should pretty much be high on everyone's wish list, right? Today we're celebrating two book birthdays. 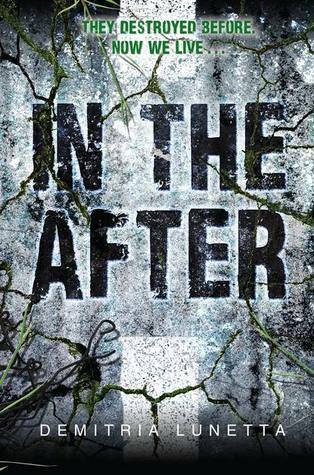 The first is IN THE AFTER by Demitria Lunetta, launching today from Harper Teen. Available at Amazon and Barnes and Noble. 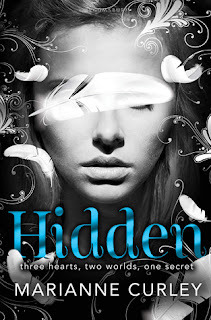 The next book is HIDDEN by Marianne Curley, launching today from Bloomsbury. 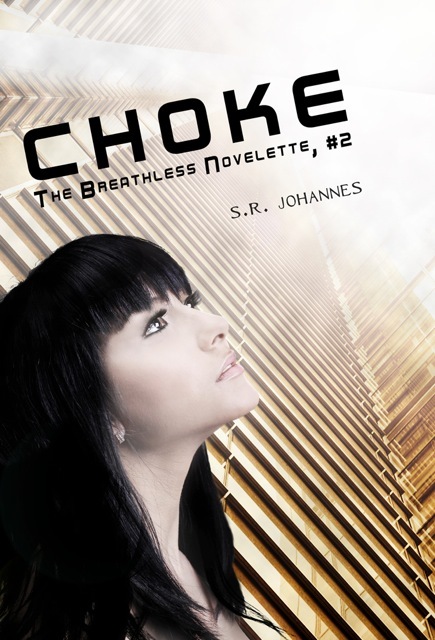 Today marks the launch of CHOKE, the second book in the BREATHLESS novelette series by SR Johannes. 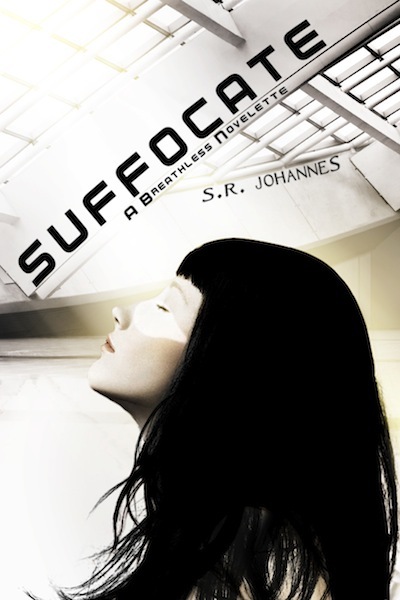 First let's take a look at the first book in the series, SUFFOCATE. For centuries, the world outside the Biome has been unlivable. Today, marks the first time anyone will attempt to leave the suffocating ecosphere. Eria is not worried because her scientist father has successfully tested the new Bio-Suit many times. It's a celebratory day until something goes horribly wrong. In the midst of tragedy, Eria uncovers a deep conspiracy in her perfect bubble. If those responsible find out what she knows, they won't stop hunting her until she takes her last breath. And now, the exciting sequel, CHOKE. When Eria escapes her home in the Biome, she uncovers more about her features and specifications as a HumaNot. Following her father's instructions, Eria embarks on a journey into a dangerous and unpredictable world. Along the way, she encounters a young rebel, Dirk, who explains he's from the Anarchy, an underground human resistance rising up against the BOTs--advanced man-made robots gone wild. Together, Dirk and Eria battle underground serpents, desert dingos, sand storms, and advanced Bots that are always hot on their trail. As they become closer, Dirk reveals his hatred of machines, forcing Eria to hide the secret of what and who she really is. 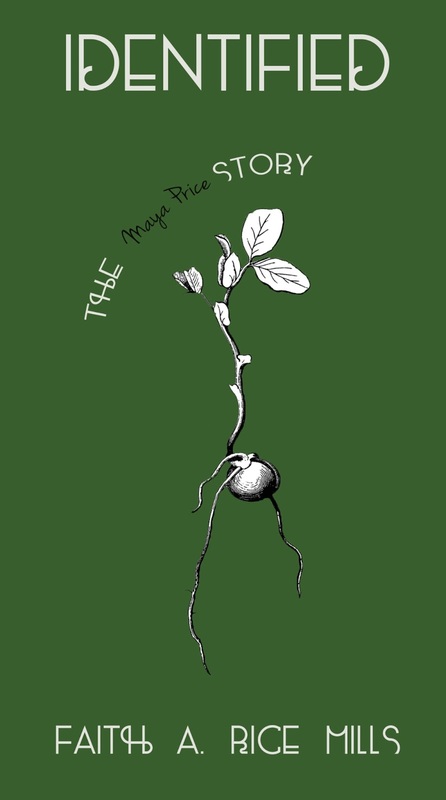 The two novelettes will be available on ebook only for only 99 cents! The 3rd novelette in the series, Exhale, is scheduled for Nov/Dec 2013 just in time for the holidays. If you loved Wool, Never Ending Sky, Mila, or Across the Universe, you will enjoy this mini-series. Sometimes, the title of a book alone can pull a reader to it. That's the case with the book our next interviewee is here to talk about: WICKED HUNGER. Isn't that a great title? 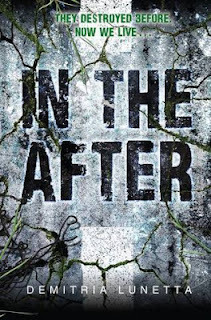 I bet you're dying to find out more about it, so let's have a chat with author DelSheree Gladden. Welcome to We Do Write, DelSheree! Tell us a bit about yourself. I have lived most of my life in New Mexico. I grew up in a little town that wasn’t even a real town by definition. Luckily, Farmington was nearby and that is where I met my hubby, Ryan. After a few forays into Arizona and Colorado, we ended up back in New Mexico to be near family. I just graduated from Dental Hygiene school, and while I wait for my license I am catching up on family time, writing, sewing, reading, and yoga. I started writing in my early teens. My first book was just plain terrible and will never, ever be published. I really didn’t start writing seriously until after I was married. My husband was the one to encourage me to explore writing more and really try to get it published. I’m so glad he did! Now if I can just get him to do the same. He is an excellent writer himself and has several books her is working on right now. Tell us about WICKED HUNGER. What’s the story about? Wicked Hunger is the story of the Roth siblings, Vanessa and Zander. Both are cursed with a nearly uncontrollable hunger for pain and suffering, yet the try to live a normal life. Keeping their deadly secret has never been easy, but the arrival of a strange new girl who has secrets of her own makes everything so much harder. Vanessa is convinced Ivy is dangerous, while Zander is falling in love with her. One of them is right about Ivy … but if they lose control of their hunger, it won’t matter who is right and who is wrong. One little slip, and they’ll all be dead. I was actually reading one of Jim Butcher’s Dresden Files books at the time. He had a line about the half-vampire character having a godling type hunger. It got me thinking. I wanted to write a story about siblings whose “power” was to have this all-consuming hunger for pain and destruction. What would those characters be like? Would they succumb to their power or learn control? I am a member of The Next Big Writer, an online writer’s workshop. I get a lot of really helpful feedback on chapters I post there and I get to read other authors’ work as well. I also met a great group of ladies on the site that I now work with off the site as well for beta reading and promoting. My husband Ryan does the majority of my final editing. He catches everything from commas to storyline gaps. I’ve also worked with the wonderful Phyl Manning for editing. She seriously knows everything about punctuation. Definitely a pantser. I hate outlining books. They make me feel boxed in and I think my characters suffer for it. I always feel like I am writing a character into a situation when I outline rather than letting them experience it for themselves. The ending. Not so much for an individual book, but for the series overall. I have this fear that I will have missed some glaringly obvious plot hole or forgotten an important point of the story and the whole thing will be ruined. I would hate to string a reader through a whole series only to let them down. That’s why my husband is such a lifesaver. He catches all of those kinds of mistakes before anyone else gets to see a book. Pillows! I know, that probably deserves an explanation. Thanks to our living room couches being seriously overstuffed on the head portion, it gives me a serious crick in the neck when I sit there writing for too long. I have to shove a few pillows behind me to compensate. Lately, though, I’ve been considering couch surgery to de-stuff them and save my neck. Super speed! I hate wasting time getting to where I need to go. I’d love it if I could zap place to place and get all my errands done super fast! Oh goodness, that’s a tough one. I’ve googled some weird topics when researching books. How about keloid scarring or the Black-eyed people? Anyone else googling those ones regularly? Quick writing test! Use the following words in a sentence: hungry, massive, and infuriated. The hungry little girl has a massive appetite, and frequently becomes infuriated when it is not fed. Reading. 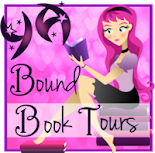 My book blog always keeps my TBR list full. Although, the final book of The Wheel of Time is about to put them all on hold. I’ve been waiting to read it for months! My husband first and foremost. He’s just awesome. My author friends who are always willing to read and Tweet and post on Facebook: Linda Ulleseit, Susan Stec, Apryl Baker, Angela Fristoe, Ann Everett, Tess Black, and Karin Gastreich. The awesome team at GMTA: my publisher Kitty Bullard, cover designer Amber Rendon, and marketing director Julia Hendrix. They are a wonderful team to work with. My lovely fans who keep reading and asking me when the next book is coming out! DelSheree, thank you so much for visiting the blog. I wish you much success with your books! We first met author Emma Michaels when she featured an excerpt of her novel OWLET on the blog last year. Now Emma's back to talk more about OWLET, and we get to find out more about Emma herself! Welcome to We Do Write, Emma. Tell us a bit about yourself. Thank you for having me here! I am a book blogger turned published author and cover artist who simply adores all things literary. 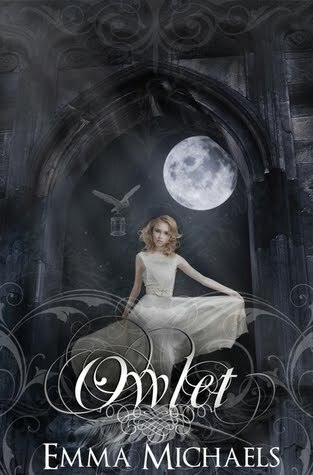 My novel Owlet is so close to my heart, I am thrilled to see it released out into the world for readers to get to see! My first publication was my currently out of print 'A Sense of Truth' series which debut in 2010. 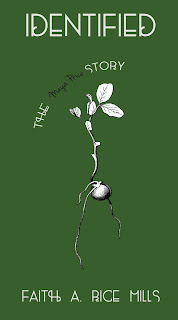 Since then I have switched publisher and now work with Tribute Books and Spencer Hill Press. Before that, I had been writing since I learned how to hold a pen, though for most of my life it was in secret. I would hide all of my notebooks to ensure no one could see my creations. Tell us about OWLET. What’s the story about? Owlet is about Iris, an asthmatic teen, who lost her memory when she was younger. She realizes her father has been lying to her and goes on a journey to uncover the truth, only the journey turns into one of self discovery as memories start to resurface. Sounds interesting! How did the idea of the story come to you? It started out as just a concept in a dream. It was an odd dream really and one I can hardly remember but it inspired a set of drawings and from there it all expanded! I self edit, then have a critique partner go over it, then have my editor edit, then... Lets just say I love edits (and rewrites). Both. I write out an extremely intricate plan of action then it all goes to the wind a few chapters in when I decide on a new plot twist. I normally end up at the same destination I had originally planned but the journey almost always changes as I go. Believing I can. Writing is very natural to me but when I know I am writing something the public will see I sometimes end up tripping up and getting more nervous. The trick for me if just getting past that and then enjoying the writing journey! Right? I hear you on that one. What do you absolutely have to have nearby when writing? ...My mind. lol. I am pretty free with writing. Give me a napkin and a pen and I will probably start to doodle or jot down ideas. I do prefer typing though, so my laptop comes in handy for longer writing sprints. The power from the movie 'Dark City' to reshape cities. I think it would be extraordinarily helpful after natural disasters to just be able to rebuild the city and move the rubble immediately. Wow, that's a good one. And original! What's the weirdest thing you've googled? Oh wow... as an author there are a lot of them. Probably how to get away with murder or bury a body. I had a mystery kick a while back that thankfully never reached publication but was a lot of fun to write. The research was very... enlightening. Afterwards I decided to stick to YA. Quick writing test! Use the following words in a sentence: owls, howling, and wander. As I wander through the forest I can feel the owls glaring above me and hear the howling of wolves but the darkness is overwhelming and I cannot escape it. working on cover art (or reading). 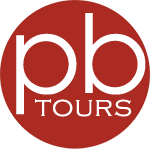 A big thank you to absolutely everyone support and special thanks to Megan for setting up this amazing tour! To Tribute Books for their constant support and to all of the readers out there who make this journey so rewarding and magical. I have links to all the venues on my website www.EmmaMichaels.com! Feel free to stop by and find out more! 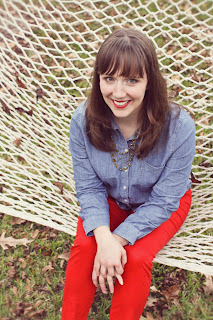 Emma, it was great having you on the blog. Good luck with OWLET, and I hope you come visit us again soon. 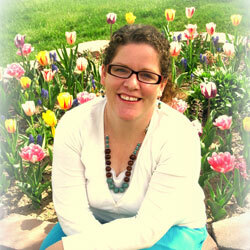 We Do Write is pleased to have Sheena Boekweg here to chat about writing and her new novel, Funny Tragic Crazy Magic. 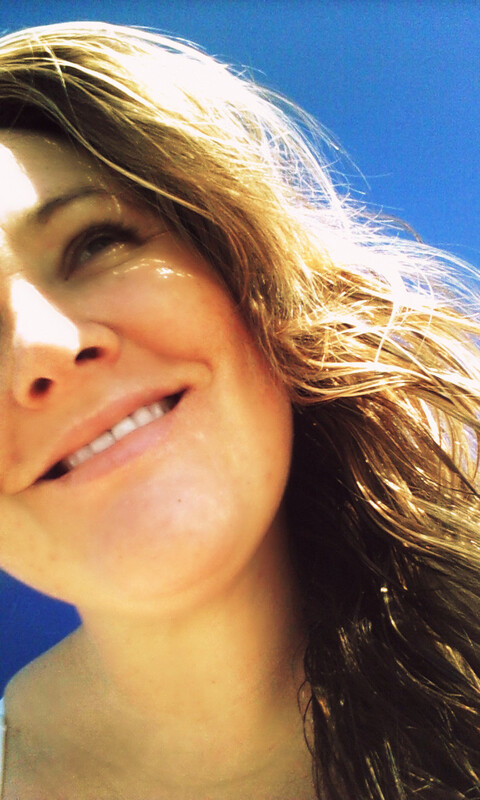 Welcome to We Do Write, Sheena! Tell us a bit about yourself. I’m powered by candy. 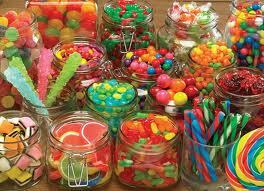 I eat far more candy than an almost 30-year-old woman should. I’m addicted to books, and once I start reading, I don’t do anything else until the book is finished. I don’t understand people who can read in chunks, or who say they aren’t hungry when you offer them a cookie. To combat my sugar and book addiction, I run, do Zumba, spin, and kickboxing. The cookies are winning. I majored in Theatre (note the spelling) and Psychology at Weber State University in Ogden, Utah. I’m a mom to three beloved children, and I’m married to my best friend. I believe in happy endings because I’m living one. I started my first novel in 6th grade. It was about a girl who goes back in time and fights a dragon, so I think my genre of choice is pretty clear from the get go. I started writing seriously about eight years ago when my oldest son was a baby. Eight years and five novels later, here I am. Tell us about FUNNY TRAGIC CRAZY MAGIC. What’s the story about? 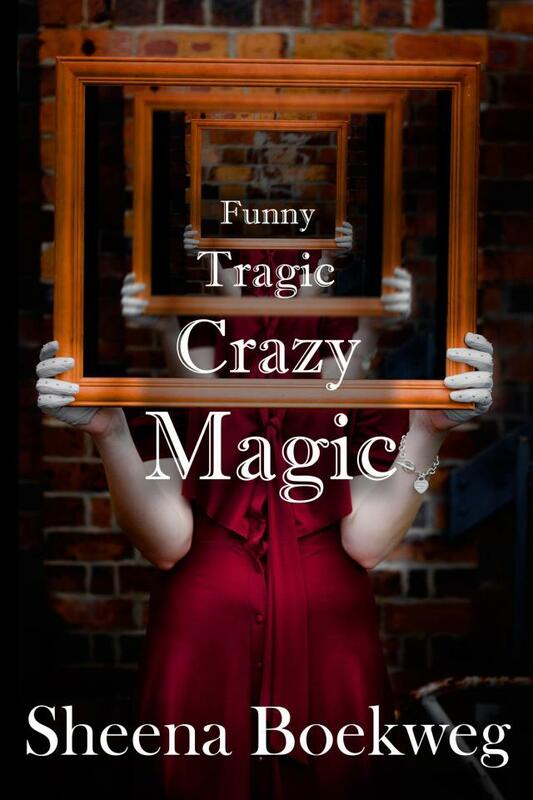 FUNNY TRAGIC CRAZY MAGIC is set in a world where magic is secret, but as common as a trip to Costco for the heroine, Larissa Alvarez. Larissa is a witch who just wants to be normal. She only really uses her magic to make herself thinner. At first, she doesn’t realize that a War on Magic is going on outside of her teen-drama filled life until her family became a casualty of that war. Alone, with no one to trust, and with only a few vanity runes to protect her, Larissa finds Joe. I love Joe. He’s slightly broken. He grew up thinking he was the product of his mom being raped, and because of that, (and how he can walk through walls), he’s always felt different from other people. He’s angry, sad, and without boundaries. The first time we meet him in FTCM he is unrepentant as he steals Larissa’s car. But at heart, he’s a hurt kid, who doesn’t know who he is, and he doesn’t trust his own instincts. Keep your head down. Don’t make waves. Don’t let anyone know you’re a freak. She may be poorly trained. She may not have anyone to trust. But it’s time to start making waves. Very cool! I love that Larissa meets Joe when he steals her car. How did the idea of the story come to you? I had a really weird dream. In my dream, these four women/rivals came into an IHOP to talk about what to do with this magical notebook they had found. The women were called the Grandmothers, and they were the head witches in two branches of magic, Wisdom and Instinct. Dream me just watched them until I realized that sitting next to me was the hottest boy I’d ever seen. Intrigued (obviously) I entered his head, and found out that he was both Wisdom and Instinct, which scared the Grandmothers. In my dream, Joe (his name from the very beginning) stole the notebook for the Grandfathers (whoever they were) and when he walked away at the end of the dream he realized that the notebook he stole was a fake. I woke up and wrote the story down, and intended to just walk away from it, but there was something so interesting to me about the system of magic that I kept it at the back of my mind to use again. About six months later I wrote a story about this lost and lonely girl who had a secret, which she wouldn’t tell. The story itself was kind of weak, but the character Larissa stuck with me. Then, one fateful day I wondered what would happen if Larissa met Joe, and the story idea fell into my head. I daydreamed about it for months, world building, plotting, just lingering in the make out scenes…and then when I finally said, “Okay, fine I’ll write the darn story,” I wrote 20,000 words in two days. I have the most amazing beta readers. In the beginning, I’d send them everything I wrote the second I put it down to paper, and I think I misused the privilege of having amazing beta readers. Sorry, ladies, for forcing my learning attempts on you. With FTCM I didn’t let anyone read it until after I had written the whole thing. I sent it to one person, my good friend MaryAnn, and she beta read the crap out of it. I sent it to a couple more trusted people, and then once I was satisfied, I hired a copyeditor, and then had an awesome detail oriented friend go through it after the copy editor had finished. MaryAnn, Susan, Becky, Kendra, Jana, and April were my primary beta readers for FTCM. Thank you again, ladies. I write by the seat of my pants. If I know too much about what’s coming I get bored. 90 percent of the plot twists in FTCM I didn’t see coming until they showed up on the page. I do have to have a general skeleton of a plot before I begin writing a novel, but I often ignore what I had planned in favor of whatever comes next. I never, ever, know how a story is going to end when I start writing. So I’m always as surprised as anyone else with what the story comes up with. FUNNY TRAGIC CRAZY MAGIC’s ending, for example, made me literally fall out of my chair when it occurred to me. My book leaves the reader wondering. It’s the kind of book that you think about, worry about later as your driving your car, or studying for a final. I want my readers to feel fulfilled at the end. Satisfied, but just a bit worried that what they know happened…didn’t actually happen. The ending of my book surprised me as I wrote it. It’s almost like the story told me how it wanted to end, and I obliged my muse. When I finished writing it, I closed my eyes and smiled. I hope the readers do the same thing, but about half the readers have to think about it for a while before they get that smile. It’s like I’m in the flow, the story races forward, but then I get stuck on a specific word. My subconscious knows what the word should be, but it gets lost somewhere in between my instincts and my brain, and I sit there saying, “What is that freaking word?” I like when the words come easily, which is usually what happens when I’m prepared, or warmed up. That first bit when my brain forgets how to speak English is just awful. I hate when my inability to write in Human stands in the way of telling a great story. Those are the moments when I wish I had padded walls to hit my head against. What do you absolutely have to have nearby when writing? Sugar. I wrote FTCM while eating my family's supply of Halloween candy. I have to have hot chocolate, candy, soda, or sugar cereal next to me when I write. Which is probably why I suffer from Novel Induced Weight Gain. Which is totally a medical condition I believe in. I may be a hypochondriac, but I'm pretty sure I have that too. If you could have any super power, what would it be? Joe has the ability to walk through walls, and I’d like that ability, although Joe finds himself in a lot of trouble because of it. In fact, all of the magical abilities Larissa and Joe have, get them into trouble, so maybe I’ll choose something less “The Monkey’s Paw” twistable. Hmmm. If I could have any super power, I’d choose the ability to watch future episodes of Doctor Who before anyone else. Yes, I could fly, eat anything I want and not gain weight, or shoot fire, but really I’d just like to be able to watch a new episode of Doctor Who without spoilers. Or that eat whatever you like and not get fat thing. Which, in case you are wondering, is no. They have four webbed toes, because technically hippos don’t have arms. The fact that I was wondering about what kind of things a hippo could pick up should probably tell you more about me and the quality of the story I was writing at the time then I feel comfortable admitting, so let’s just ignore it. Quick writing test! Use the following words in a sentence: almonds, announced, and acquanitances. Fun. Well, I’m a nerd, so the first thing I noticed is that you have a subject, a verb, and a secondary subject, so technically you could… Never mind. Here’s my sentence. Lady Almond, of the house Prunus Dulcis, glared at her acquaintances, including those who as’salt’ed her, and held her shell high as her name was announced. If I’m not writing, I’m probably dancing like Beyonce. 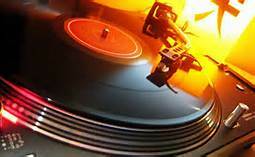 I’ve tried listening to music as I write, but it doesn’t work for me. Before I finish a paragraph, I’m closing the blinds and busting a move like I’m in the middle of a Zumba Class. I’m a dancer in my brain, and in my soul, but not so much in my body. In fact, I’m kind of horrible at it, hence the closed blinds. I also love to watch T.V. ( I’m addicted to reality shows, Doctor Who, Downton Abby, and Parenthood), exercise, read stories to my children, and I play a mean Bejeweled Blitz. I also read a lot. Like more than my husband is aware of, like more than I admit on Goodreads, and a lot more than I clean. My number one supporter is my hot husband. He’s been so kind and helpful to me, and if it wasn’t for him, FUNNY TRAGIC CRAZY MAGIC would still be just in a file on my computer. He designed my cover, my website, and my facebook page. He’s done the laundry without complaining, come home often to a house in chaos because I’ve been writing all day, and done it all with humor, and really beautiful hair. He’s the best, and I’ll spend my whole life thanking him. I’ve been blown away by everyone who’s supported me. There are people I expected, like my mom and siblings, but people have come out of the woodworks to congratulate, or to buy my book, or to just like my page on facebook. I feel really loved. And THANK YOU to everyone who’s helped me out. Also, a big thank you to Children’s Television, without which this story wouldn’t exist. I’m found at facebook, twitter, and I blog here and here. Thank you for joining us, Sheena! And now for the giveaway! Click the link below for a chance to win a $25 Amazon gift card! 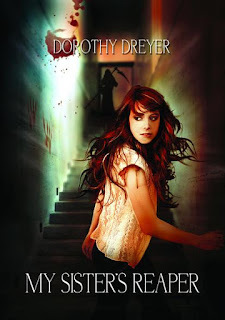 Happy (Print) Book Birthday, My Sister's Reaper!!! Something really cool happened today. When I checked my email, I saw I had a letter from Amazon. My copy of My Sister's Reaper, by Dorothy Dreyer has shipped! Since I was lucky enough to be Dorothy's critique partner well before she signed with Month9Books, I've already read the story, but that doesn't make me any less excited. I can't wait to see how the book turned out. I want to feel the weight of it in my hands, smell the fresh paper, and marvel at the gorgeous cover in person. There's nothing like holding an actual book. It makes it feel real, like somehow the words being printed on paper and smooshed between two covers brings the story to life. And I am so stoked to know My Sister's Reaper is alive and really out there for anybody to read. Congratulations, Dorothy! I am so happy for you! Yes. It is as awesome as it sounds. You can pick up your copy here! There are so many books on my to-read list. So it's both frustrating and exciting to find something else to put on the list. For example, today's feature. 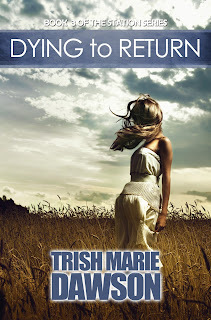 Today we're featuring DYING TO RETURN, the third installment in The Station Series by Trish Marie Dawson. Dying to Return is the 3rd book in the Young/New Adult Fantasy, The Station Series. Piper Willow’s adventure in the afterlife continues as she struggles to discover who she is and what is expected of her. Faced with decisions that could change everything, she must weigh her desire to be with the ones she has come to love, or satisfy her curiosity and find out what lies beyond her world with someone new. What Piper experiences and the choices she makes could not only alter the delicate inner workings of the Station, but the delicate balance that Piper has managed to maintain inside herself. In the end, will it all be worth it? I must be dying…am I dying? Piper Willow, you have already died. Stop. Please stop with the Piper Willow stuff. Just call me Piper. Where are we, why can't I see? I do as I'm told, feeling my eyelashes lift off my cheeks as I hesitantly squint at my surroundings. There is nothing to see. Where are we? Why is it so dark? Something soft and warm slowly wraps around my hands and at the same time, I feel a tug forward…into the complete darkness that envelops me. I flex my fingers…opening and closing them against the soft, yet stable presence that has enclosed around them. I realize it is Rush's hand that I'm feeling. Of course, who else would be here with you at this moment? When I was little, I used to swim a lot in my grandmother's pool. She would sit on her plastic lawn chair with the tattered seat straps, underneath the over-sized brim of her cracked straw hat and sip from a large glass of her favorite-boxed wine, watching me with a smile. I loved her pool. There was nothing special about it, but it was large, round, and perfect for floating in. That sensation of being weightless but still feeling your limbs was exactly what I felt like now. But I am dry, and not floating in water. Will you tell me where we are? Come with me…you'll see soon. After another tug, I drift effortlessly behind Rush and eventually the blackness begins to turn grey. As the grey becomes spotted with different colors I clamp down onto Rush's relaxed grip. We are arriving. Keep your eyes open, Piper. This is my favorite part. Dying to Forget, the 1st Book of The Station Series is PERMA-FREE on Smashwords (available for all platforms) https://www.smashwords.com/books/view/319640 or Amazon (for Kindle users) http://www.amazon.com/dp/B008S2RKAU. I don't know about you, but it seemed like this week lasted forever. I thought Friday would never arrive. Thankfully, it's here now! Let's celebrate with an interview, shall we? Today we're talking with author Cecily Anne Patterson about her novel INVISIBLE. I'm an Aussie, but I grew up overseas in Pakistan from the ages of 3 to 16. Everyone thinks I had a really exotic childhood but I just assumed it was all kind of normal. I went to boarding school in the Himalayas and in the holidays went home to my parents living in the desert. These days I'm very, very normal and live in a small Australian town with my husband, four children and a dog. I like craft and chocolate and not cooking. I won a primary school writing competition at the age of 8, beating 10 and 11 year olds and I knew when they called my name out that this was going to be my destiny. After uni I worked in editing and communications and I wrote my first book – a biography – about eight years ago and started blogging. It's been all go since then. Tell us about INVISIBLE. What’s the story about? 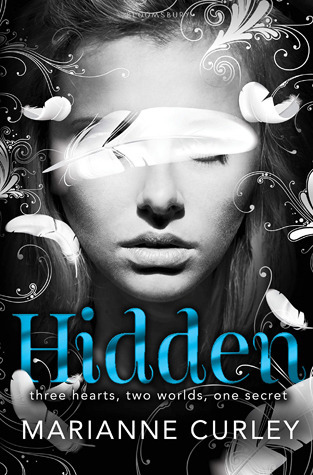 Jazmine has been hiding from the world since her father died four years ago. She's safer when she feels invisible, but all that has to change when she's forced to help out with the school play. She makes the first friends she's had in years (including Liam, a hand-ball-playing, chocolate loving, drama 'nerd'), gets enthusiastic about growing her own garden and finds out she's actually got some acting talent hiding inside. When the school bully Shalini confronts her, though, Jazmine has to make some choices. Will she back down and quit the play? Can she tell the truth about what she's been hiding from her new friends? And can she face knowing what really happened to her dad? I was having coffee with my friend and her 16 year old daughter Mollie, who I've always thought of as a really shy, quiet person. When I found out that Mollie was taking a drama elective at school I was really surprised. "Oh no," said her mum. "She's like a different person on the stage." Immediately I knew that this would have to be the core of the story – that a quiet person would come to life through drama. I just had to work out the rest of the details. I do both. Having worked as an editor gives me a bit of a head start, but it's good to get other people's feedback. About ten different people read INVISIBLE and I was amazed at how different each person's feedback was. Definitely a plotter. But that's me in life too. I like to have a plan for whatever I'm doing. It makes me feel nervous if I'm not sure where I'm going. Having said that though, it's a rough plan which allows room to wriggle as I go. A cup of tea. Make that four cups of tea. Decaf, lots of milk and one sugar. The thing I don't need to have nearby is my two year old. She goes to preschool for six hours a week so that's the time I have to write. The ability to clean my house and cook all the meals in only ten minutes a day. Failing that, the power to invent and manufacture a machine that will do it all for me. Failing that, the ability to make money easily so I can pay for permanent house help. You get the picture. 'How to make an invisibility potion'. My 9 year old son asked me if I could help him make one. I said, 'sure, as long as you can find a recipe online'. Sadly, no such thing exists. Quick writing test! Use the following words in a sentence: invisible, umbrella, and launched. The potion to make me invisible seemed to work okay (even though it was kinda weird that I could actually see through myself) but the rain was still heavy, and as I launched my umbrella above my head I could see passers by doing a double take. Most of them seemed to be able to create some sort of believable explanation for a disembodied umbrella floating along the street and moved on, but then, behind me, came a child's shrill shriek. "Mum! You said there was no such thing. But I told you it was possible!" If I'm not writing, I'm probably cooking or cleaning (see super power answer above) or answering questions about making invisibility potions and other completely random stuff. My husband gives me whatever time I need to write and always encourages me. My eldest daughter 'test reads' for me and tells me when things are lame or daggy. A whole bunch of individuals read and comment and edit – too many to name, and my facebook fans are always kind and encouraging. Of course, the people I really, truly love are the ones who take the time to leave a positive review! You can find Invisible (or my award winning memoir, Love Tears & Autism) on Amazon, itunes, smashwords, barnes & noble and any other e-book sellers. 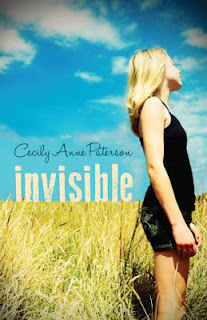 Invisible is and will always be free as an ebook. Love Tears & Autism costs a little more. Bio: Cecily Anne Paterson is what they call a TCK, or a third culture kid, which basically means she grew up overseas and has some weird issues. Now she’s a mostly normal Australian living in a small town in New South Wales, although her four children don’t wouldn’t necessarily agree with the mostly normal bit. She’s been an editor, a communications officer, an ESL teacher and now a writer. Her ambition is to write two young adult books a year for the next ten years. Jazmine Crawford doesn’t make decisions. She doesn’t make choices. She doesn’t make friends. Jazmine Crawford only wants one thing: to be invisible. For Jazmine, it’s a lot easier to take out her hearing aid and drift along in life pretending that nothing’s wrong than it is to admit that she’s heartbroken about her dad dying. She’s been drifting and ignoring her over-worried mum for four years now. But something’s got to give – and soon. When bad girl Shalini and her mates adopt Jazmine, she follows along without thinking but quickly finds herself part of their plan to vandalise the drama classroom. Jazmine manages to save the key prop, a jewelled headdress, before drama teacher Miss Fraser walks in to find a room full of destruction. Later, sitting in disgrace in the principal’s office, Jazmine is offered a choice: become a ‘runner’ for Miss Fraser in the upcoming production of The Secret Garden or face a three week suspension and a permanent mark on her record. It’s Miss Fraser who clinches the decision. “I believe in you Jazmine,” she says. “I know you can do this.” And Jazmine, terrified, disbelieving and elated all at the same time, joins the play and leaves her invisible life behind. For a while it’s all good. Writing in the new journal that Miss Fraser gives her connects her to the memories she has of her father. Drama star and chocolate lover Liam is friendly and Jazmine realises that making friends, talking to her mother and feeling her emotions isn’t as scary as she thought. In the play, Jazmine becomes the prompter and a stand in and discovers to her amazement that she loves the stage and has a natural talent for acting. In a final happy twist of fate, acting diva Angela breaks both her ankles and with only a week before the curtain goes up, Miss Fraser asks Jazmine to take on the main role of Mary. But it’s not quite as good as it seems. Jazmine is still fearful and doesn’t want to give too much away. She can’t quite believe that Liam likes her, and is worried that if people knew what she was really like, they wouldn’t want to be her friend.